If being a baseball coach and instructor was only about teaching baseball, I wouldn’t do it. Recently, I was totally blind-sided by something I truly didn’t see coming. Let me tell you the story of Danny Muniz. Danny is a rising college sophomore from the Miami area. He’s a right-handed pitcher who upon graduation from high school was topping at a whopping 82 mph. Not willing to give up on his dream of playing college baseball, he accepted a scholarship to an NAIA school in Southeast Nebraska. Last summer, Danny came to a Rocket Launchers Training Camps and subsequently joined our Insider Platoon. He went ALL IN with his training and set forth on a goal to increase his velocity, and to improve his command. During his redshirt freshman season, Danny got some innings out of the bullpen, compiling a 5.45 ERA over 36 IP. Still looking to get better, he signed up for the second half of our Summer Rocketeer Training Program. He even recruited 2 of his teammates to join him. All the guys in the camp liked Danny, largely because he seemed genuinely interested success and happiness of everyone around him. I remember thinking that given the number of nagging setbacks he had experienced, he had little or no shot at that. I couldn’t be more proud of Danny Muniz. He came in with the goal of throwing a pitch 90+ mph. Despite multiple frustrating physical setbacks, he never lost hope. He just kept on grinding. And it all started with a Rocket Launchers Training Camp. I sent out an e-mail to my newsletter subscribers telling them about Danny’s story, then later that day I got this reply from Danny. It had me and my entire staff welling up with tears of joy and pride. It reminded my why we do what we do. With Danny’s permission, I will share his email with you. I don’t know where to begin. This past month has been so surreal. I went from the lowest of lows to the highest of highs. That first week when I felt my hip pop I had nothing but negative thoughts racing through my head. I could handle having arm pain, but now I had hurt my hip and felt I would be sidelined from doing all the workouts which would help make me stronger. I started having doubts and regretting coming to the camp, but you encouraged me not to let what I couldn’t do keep me from what I could do. So I took your advice and did what I could. Then my arm started hurting, which was frustrating, but nothing new. What really got me down was when my friends and I rented a hotel for the weekend and I woke up with pain in my lower back. Pain so bad that I had to sleep on the floor that night instead of the “heavenly bed” I had spent $60 that weekend to sleep on. I avoided calling my parents because I knew they would ask me how I had been doing and if it was worth going to the camp, which at the time would have been a resounding no. I thought I wasn’t going to be able to velo for sure now and started to think why this was happening to me and what else was I going to injure. It looked like I was going to have to stay another month before my brother would let me come home. Then I thought of Matt Furey’s Rocket Science Live Seminar when he talked about how there are some people who always seem to get injured and others that don’t and that he believes it is all a result of the energy we give off. Because of Josh I watched The Secret and learned that I needed to emit more positive feelings in order to attract more positive things to my life. I was then given the courage to ask Miss Amy if there was a church she knew that I could go to and she gave me one she went to and one Magan went to. Unfortunately I couldn’t make it to either one, but I knew this being the last Sunday of the camp I had to go to one so I ended up at the Kings Avenue Baptist Church for an evening service which of all things was in Arabic. Fortunately they had a translator for me and a guest Pastor that spoke English. There he and I prayed together and accepted Jesus into my life. The last week of the camp my back and hip continued to bother me, but I took it one day at a time and prayed each night for God to heal and protect me. My arm began to feel better on Wednesday as well as my hip and back and I thought about veloing, but my calves were still sore from Laura torturing me the day before with her massage so I decided Thursday would be the day. So that night I asked God one more time to heal me and put a protective bubble around me. I put my Peru State hat on, looked at myself in the mirror and imagined myself holding the radar gun with the unwavering faith that it would say 90mph and that I would be smiling from ear to ear. Before I did my run and gun I got on one knee, prayed one last time and told Ty I was going to velo today and…well the rest is history. I don’t know how many times I’ve seen that video shaking my head and smiling. It has been over 5 years and a torn labrum later that I have moved that fast and thrown that hard. I can’t thank you enough Randy for all you have done for me. For giving me an ARP wave treatment for my hip when I was really down, for working on my back several times, for all the valuable information you’ve shared with us all and for encouraging me to stay positive. I’m subscribed to many different newsletters, but yours is probably the only one that I always make sure I read every time you send out a new one. I don’t know how many times I’ve read a story from you about a kid who went to your camp and was able to solve his arm pain or throw 90+ and thought I would be one of those kids someday and here it is! This camp changed my life!!! I wish you all the best and I’m sure I’ll see you again this winter! “Every setback is a setup for a comeback. Thank you Danny Muniz for allowing me and the rest of the staff at The ARMory to be a part of your development as a pitcher and as a man. We have 2 more weekend Rocket Launchers Training Camps scheduled this month and one more next month. And as a bonus for attending the camp, you can add on 5 additional days of training (2 hour sessions you can use any time) at half the normal price. 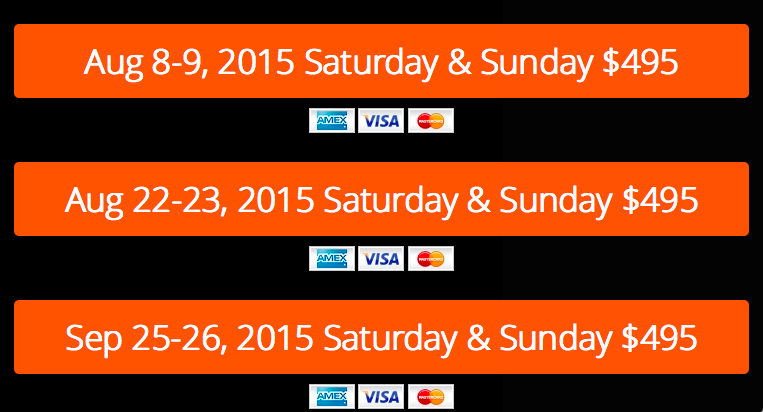 Can’t make it for one of those weekends? Or maybe you just want a more personal, one-on-one experience? 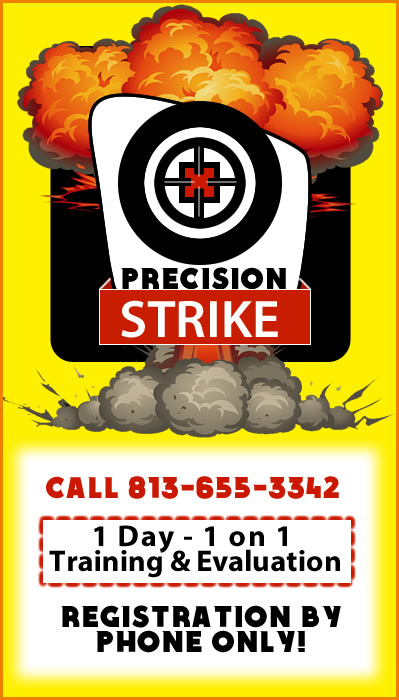 Call us at 1-866-STRIKE3 and ask about our Precision Strike 1 day 1-on-1 Training & Evaluation Program. 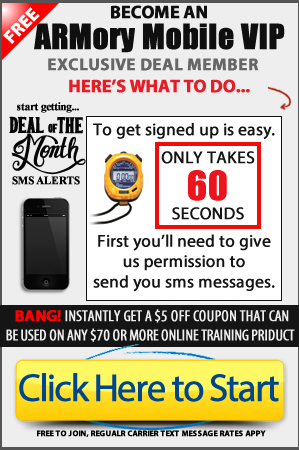 Learn more about by CLICKING HERE. We like to thank Randy, Ty, Ryan and all the staff for the great program that you have the” Rocket Launcher training” Not only you work on their body & muscle but also on their mind and spirit which is one of the great assets that we have if we know how to use the right way. We are so excited of the improvement and growth of Danny in every area of his life since he signed up with your program. We have no words to describe how happy we are when seeing Danny accomplishing his goal of throwing over 91MPH. You sold him the idea that he would improve his velocity and he was able to achieve it. He also knows that nothing is impossible with god for those that belief. Very proud of his dedication and be able to continue playing baseball at high level.